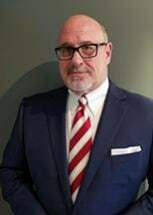 Mark is a real estate and general corporate attorney with over 35 years of experience across the full spectrum of business, transactional real estate, development, deal structuring, financing, and general corporate and business-related matters. Recently, Mark was General Counsel to the largest privately-held owner-manager of multi-family and mixed-use projects in Northeast Ohio, with over 12,000 residential units and nearly three million square feet of office and retail space. In addition to his general corporate responsibilities, Mr. Schildhouse had been directly involved in major commercial/residential mixed-use development projects valued in excess of $500 million, as well as portfolio transactions and financings exceeding $750 million in the aggregate. He has initiated and managed private placements which raised over $20 million, used to supplement the equity requirements for $75 million in acquisitions. Previously, Mark was a partner in a Cleveland-based law firm, where he was responsible for organizing and leading its Real Estate Practice Group. Mark represented both local and national developers on significant development projects representing over 6 million square feet of new development, as well as numerous real estate financing and portfolio transactions across the country, valued in excess of half a billion dollars. At the height of the Savings and Loan crisis in the mid-1990's, Mark had been General Counsel to a publicly-traded real estate asset management and financial services company based in Columbus, Ohio, where he provided advice and counsel regarding the management and disposition strategies for portfolios of retail, commercial and multi-family assets valued at more than $4 billion, for the Resolution Trust Corporation and other commercial clients. Mark is a 1974 graduate of the University of Cincinnati, with a B.A. in Political Science, and received his Juris Doctorate from Cleveland-Marshall School of Law in 1979. He was admitted to the Ohio Bar in May 1980. He is a member of the Ohio Bar Association, the International Council of Shopping Centers, the Cleveland chapter of NAIOP, and a former board member of the Greater Cleveland Mortgage Bankers Association, and the Board of Trustees of the Historic Gateway District of Cleveland. He is a past President of Temple Beth Shalom of Hudson, Ohio.